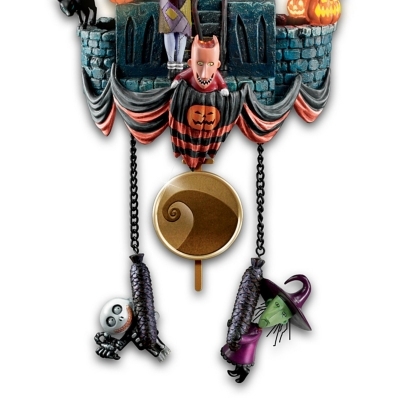 Just in time for Halloween, a Tim Burton's Nightmare Before Christmas-themed cuckoo clock, courtesy of Bradford Exchange. 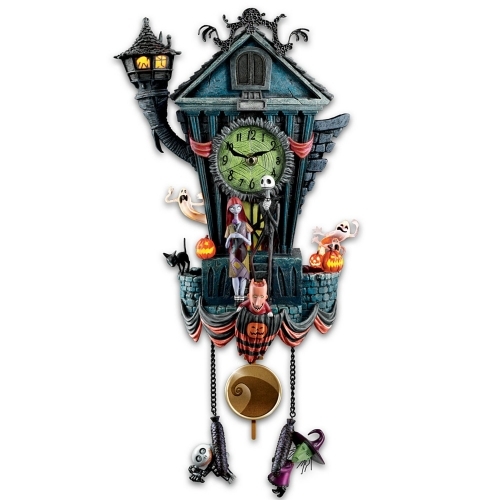 Introducing The Nightmare Before Christmas Cuckoo Clock, specially designed and proudly presented by The Bradford Exchange to fill every hour with lights, motion, and music. 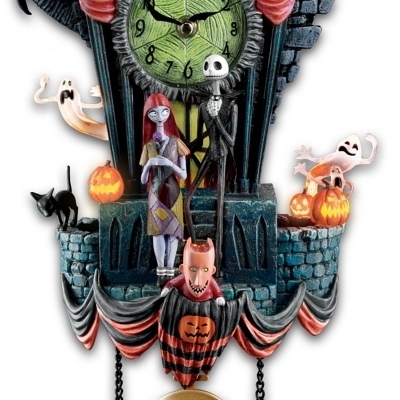 Towering a grand 21 inches high, this fully sculptural cuckoo clock recreates the spooky charm of Tim Burton's imaginative classic in vivid detail, while hand-painted elements in vivid, nightmarish colors, bringing all the brilliance of Halloween Town and its creepy denizens to life.Jack Skellington and Sally stand in front of the Town Hall and Jack's Tower. 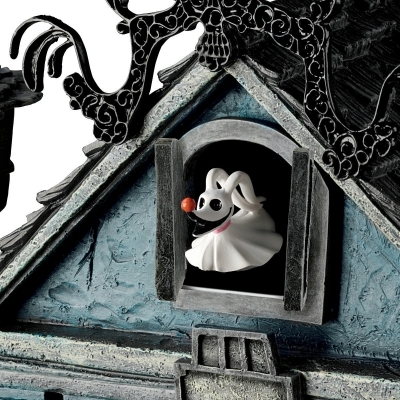 At the flip of a switch, the windows of Jack's Tower, the ghosts and pumpkins illuminate with glowing light. Instead of a traditional cuckoo on the hour, this clock plays "This is Halloween" while Zero pops in and out of the doors atop the Town Hall. This fine home decor is not intended for children.